The Jomtien Thani Pattaya's newest hotel. A perfect seaside setting and gorgeous views that sweep out to the horizon these are just two of the features that help make the Jomtien Thani Hotel an ideal place to relax. 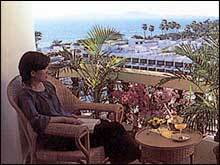 - Check-out time = 12:00 noon (Any extension after 12:00 noon will be levied at 50% of room rate. Extension till 18:00 hrs. will be charged at a full day room rate. - Child under 12 years sharing same room with parents (no extra bed provided) will be free of charge (Maximum 2 children); however, child over 4 years will be charged 50% for breakfast and child over 12 years will be charged full price. 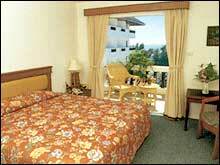 - During peak season (25 Dec 05-10 Jan 06), no show charge is equivalent to the total room reserved and full length of stay. E-Biz Travel reserves the rights to release the room(s) booking if guest do not check-in before 6.00 PM except having advance notice. - Early check-out will be charged one more night. There are 246 spacious rooms, all furnished for comfort and convenience and complete with private balconies where you con enjoy the fresh breeze. Seaside setting just a few minutes walk from the sea, 246 seaview Superior, Deluxe and Mini Suite, Individually controlled air-conditioning, colour television with over 50 International channels new and entertainment, refrigerator. 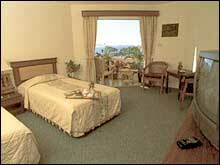 All rooms has its own private balcony, bath room with bath tub and shower. 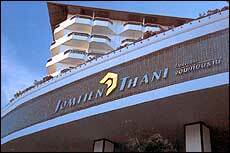 The Jomtien Thani Hotel offers a full selection of restaurants and entertainment facilities. Open 24 hours for informal dining from an extensive menu offering a tempting variety of Thai, Chinese, European and American favorites, hot or cold dishes, snacks for satisfying meals. Buffet breakfast is served daily from 7:00 a.m. to 10:00 a.m.